Autumn Casey at La Sierra — Primary. Excited to announce Autumn Casey recently started her month long residency at La Sierra. La Sierra Artist Residency brings art and nature together to inspire new works of art and to generate dynamic ideas around its core values of creativity, sustainabilty, cultural exchange and wellness. By supporting the work of artists, writers, designers and thought leaders in these areas, La Sierra Artist Residency dedicates itself to changing lives in Colombia and beyond. La Sierra programming includes an artist residency, educational initiatives, projects in partnership with international cultural organizations, and more. 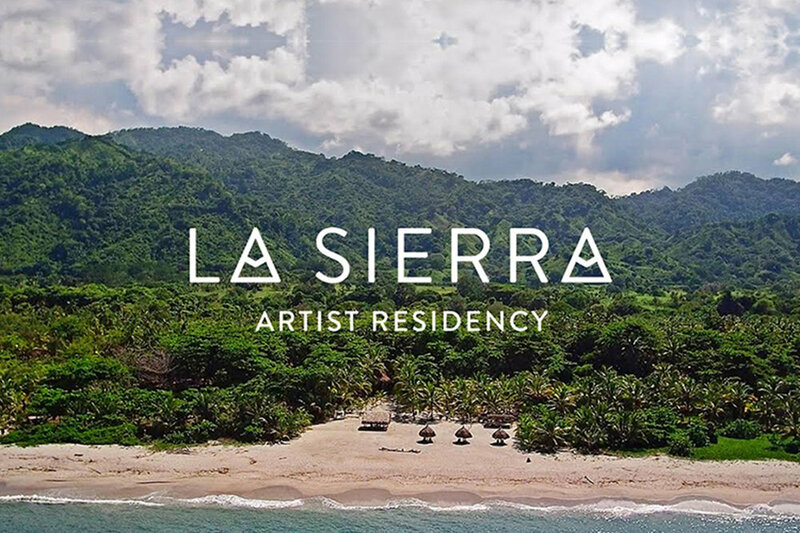 From its base on the Caribbean coast of Colombia, La Sierra Artist Residency is a nexus for cultural production and activities in Latin America, the Caribbean and the United States. La Sierra Artist Residency is intended to support artists working professionally in all mediums, including painting, drawing, photography, film, sculpture, performance installation, architecture, industrial design, permaculture, music and writing. Artists are encouraged to create new work inspired by their experiences here or continued from their existing studio practice. La Sierra Artist Residency is an opportunity for emerging and established creative professionals from all over the world to link their inspiration and creativity with the raw, natural environment that surrounds us all. This Artist in Residency program will provide the opportunity to cultivate creativity while seeking solitude, connecting with nature and facilitating a cultural exchange on the Caribbean Coast of Colombia. Surrounded by jungle, mountains and virgin beaches, artists are welcomed to create, study and explore. We provide accommodation for one month, allowing the artist in residence to leave behind routine stress and focus on their immersion and connection to the land. The intention for this time is to slow down, reconnect with the rhythms of the earth and awaken the depths within. Autumn Casey (b. 1987, Dallas) draws on a variety of personal relics and pop-cultural ephemera, both abject and singular, to challenge and question her own subjectivity against the world at large. Her practice, which moves from sculpture to collage, as well as video performances, considers the history of the found object and assemblage—redeploying existing materials or moments in unexpected, idiosyncratic ways. The result is a body of work that vibrates along the tense cord between the personal and the vernacular. She studied sculpture at the New World School of the Arts (BFA 2011). Her work is collected by the Museum of Contemporary Art, North Miami, where she won the 2010 Optic Nerve XII,the Perez Art Museum Miami. Casey currently lives and works in Miami, where she is represented by PRIMARY.